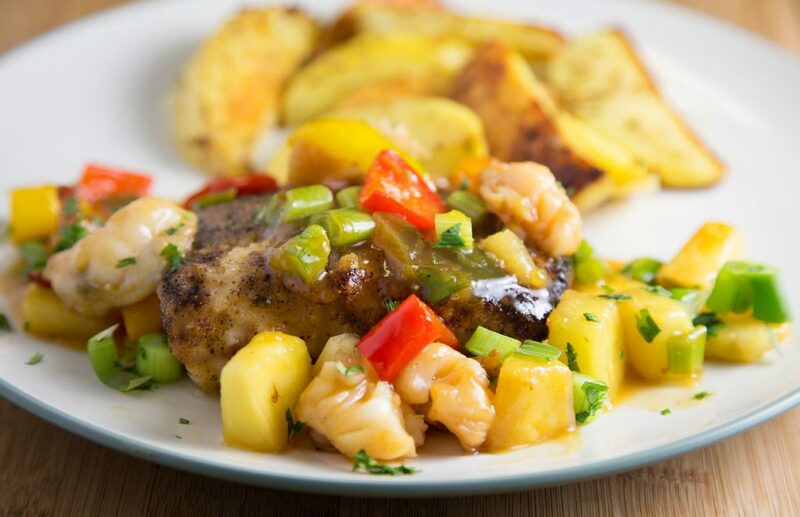 Blending flavors together and finding that balance that sends your taste buds into a tizzy is one my great joys in life and my Blackened Mahi-Mahi with a Pineapple Lobster Sauce made me a very happy man! I’ve talked many times about changing my eating habits and moving towards fish more than meat. For me, that meant adding layers of flavor to many of the fish I prepare at home. Whether it be in a sauce or seasoning, I like to challenge my taste buds and make myself smile, happy feet included! 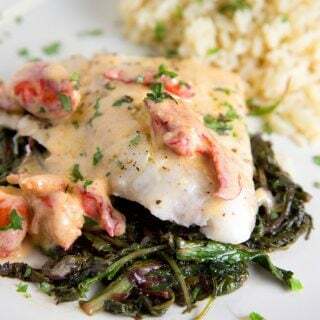 And my Blackened Mahi-Mahi with a Pineapple Lobster Sauce certainly had those happy feet moving. 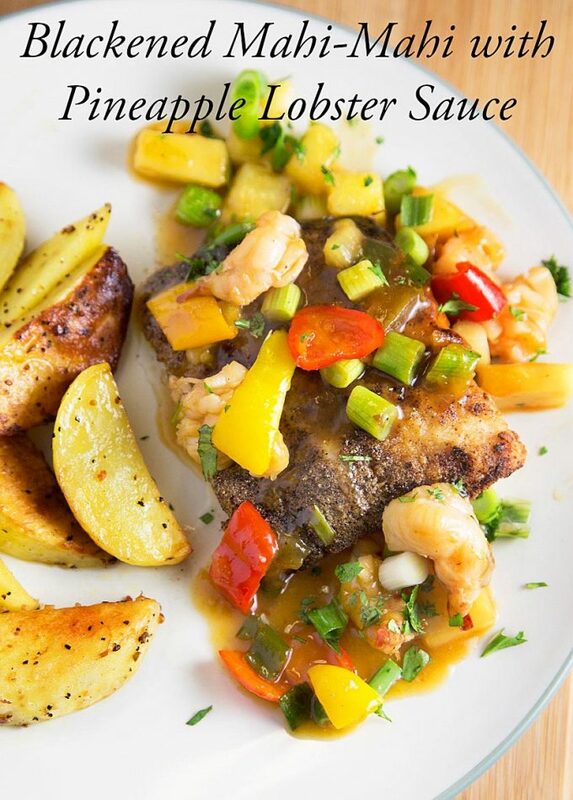 The balance of spicy and sweet along with that flaky tender Mahi and juicy pineapple made for a flavorful dinner. 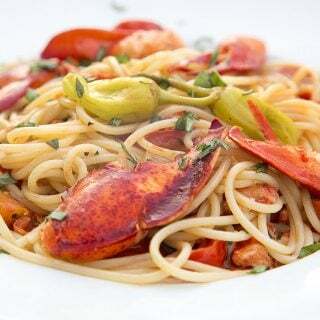 Enjoy this Restaurant Style Dinner in your own home for a fraction of the cost of going out and cooked in less time than driving to pick up take out! heat a saute pan and add just enough olive oil to the pan to keep the mahi from sticking. 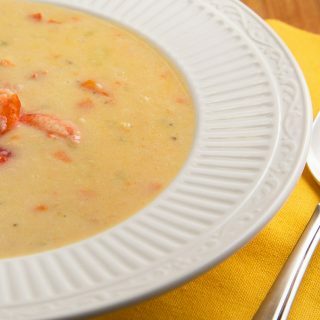 I have some Swai that I am making for dinner tonight with this recipe. Thank you so much for sharing. Heading to the market for some fresh lobsters. Can’t wait! 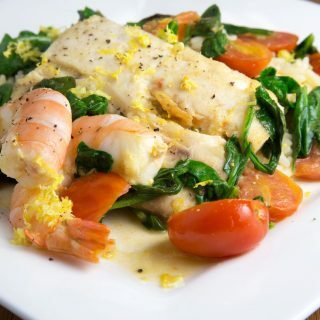 Wow – this looks outstanding Chef and I’m thinking it would work with the snapper I have in the freezer. 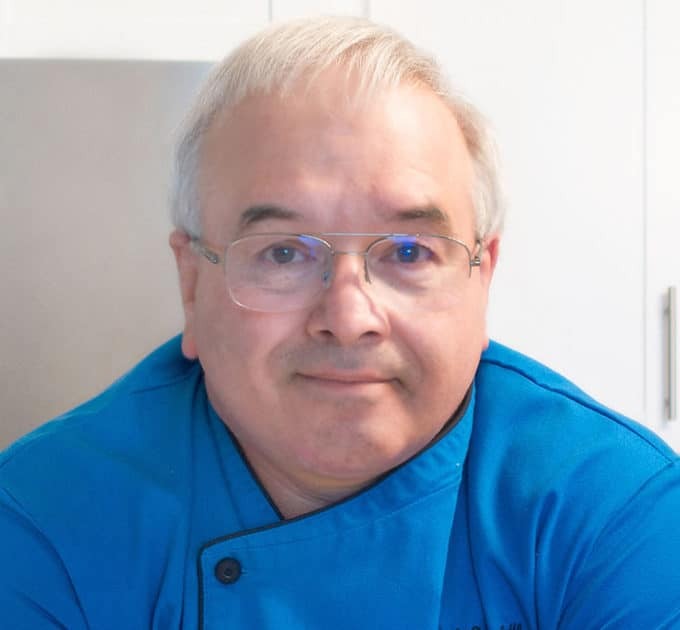 Thanks Larry, I loved the flavors and I hope you do too! 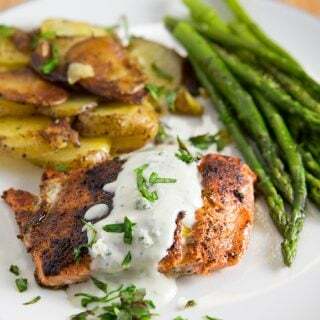 with pink salmon instead of Mahi mahi as well?? 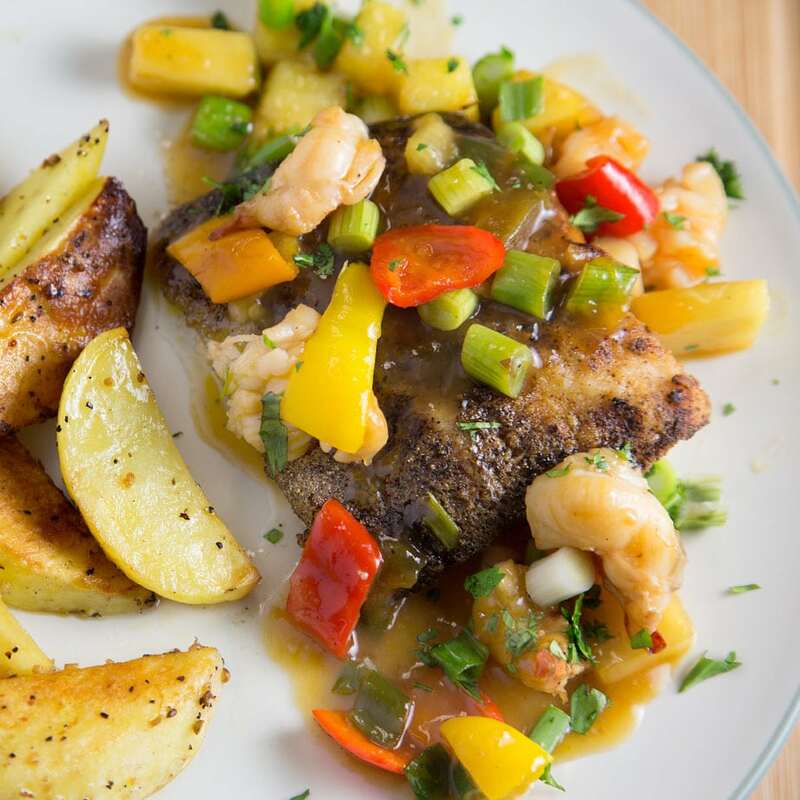 Oh my this Mahi Mahi looks and sounds fantastic with all those vibrant veggies! 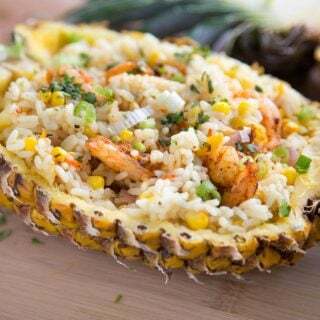 it was really tasty, I love the pineapple in the dish! Thanks so much for stopping by!